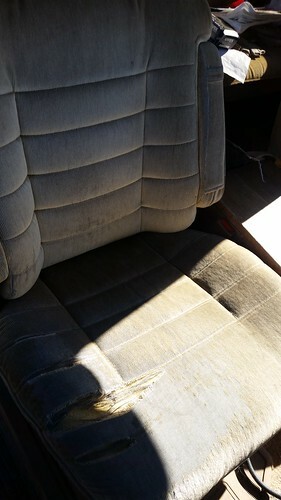 The seats in the Astro look and feel like seats in a van that has been on the road for 450,000 miles and 27 years. Having the seats completely reupholstered was not in our budget, but we went to a place called Motor Sheep in Reno today, having ordered sheepskin seat covers from them a few weeks ago. We left the Astro with them this morning, went to the Peppermill for breakfast, and when we came back, we had much more comfortable seats, albeit that the original seats, warts and all, are still under these seat covers. 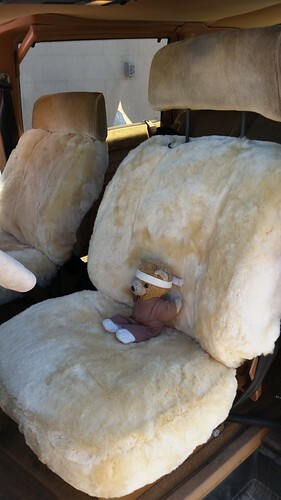 One problem: They did not correctly reinstall the headrest on the driver's seat, and it took Lisa a fair bit of fussing to get it back in place. Just forcing it into the holes is not safe; the posts that hold the headrest in place need to be in the correct location in the seat-back or else the headrests do not perform their primary mission of protecting against whiplash. A small drawback of new sheepskin seat covers in the summer is that they do emit some odor, particularly when the van has sat in the sun for a while. We'll try using some Febreze to neutralize that. The odor will eventually fade, according to what I've read. 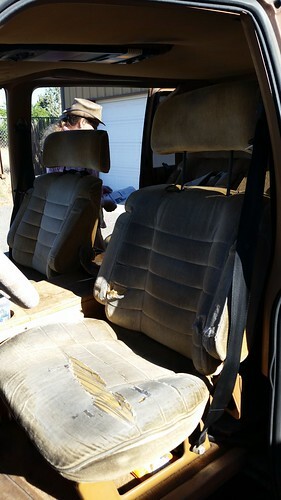 Yes, of course it would have been better overall to spend a lot more money to have the seats completely redone, but for $400 we now have significantly more comfortable seats, and with two long road trips ahead of us this summer, that's important. I wish we'd done this years ago.